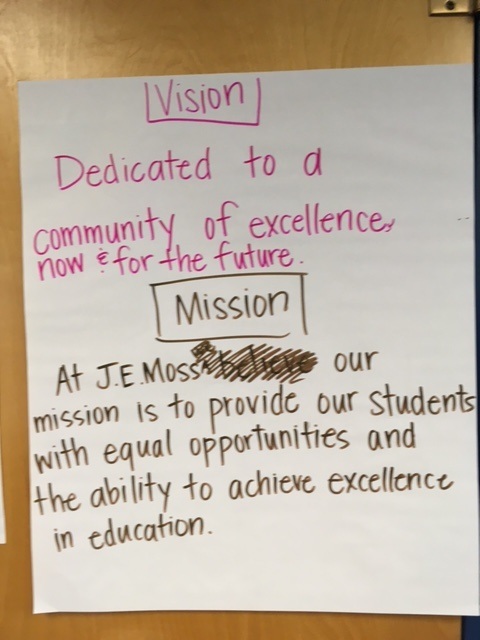 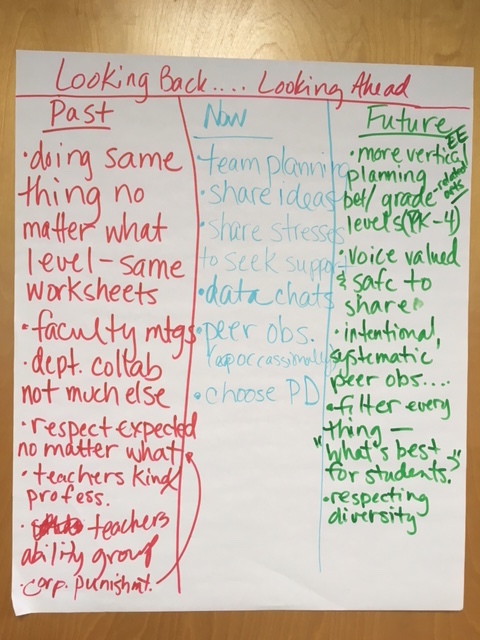 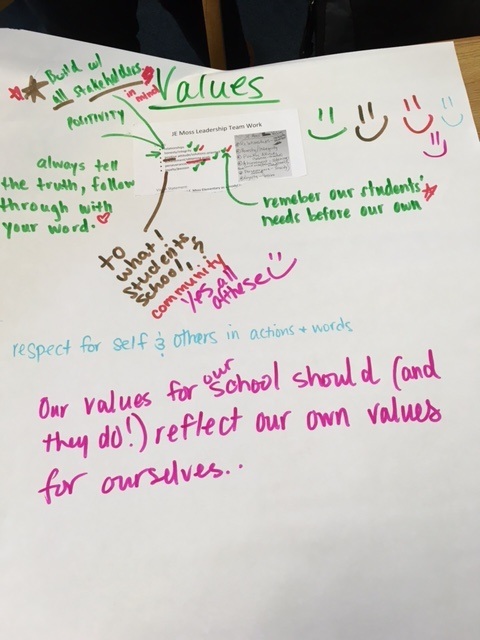 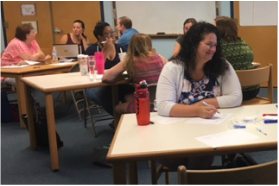 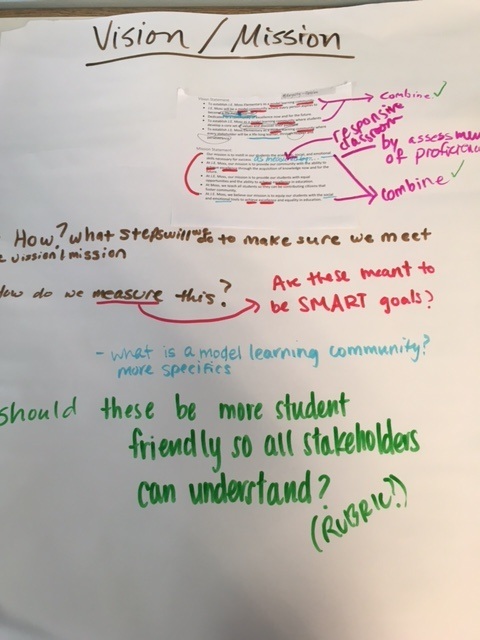 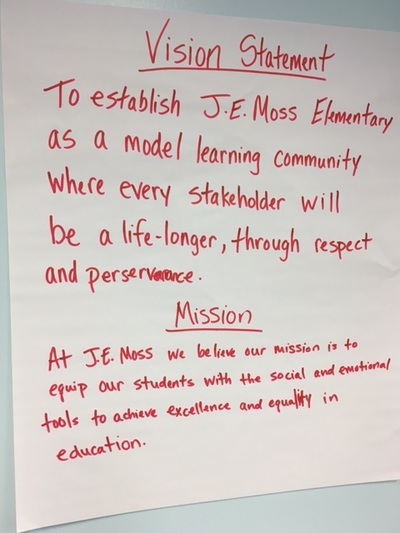 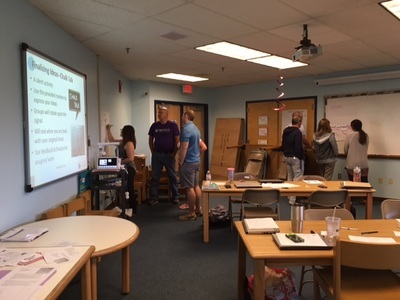 The JE Moss Elementary leadership team continued using the collaborative inquiry process to finalize their vision, mission, and values and to develop their cultural, literacy, and numeracy SIP goals. 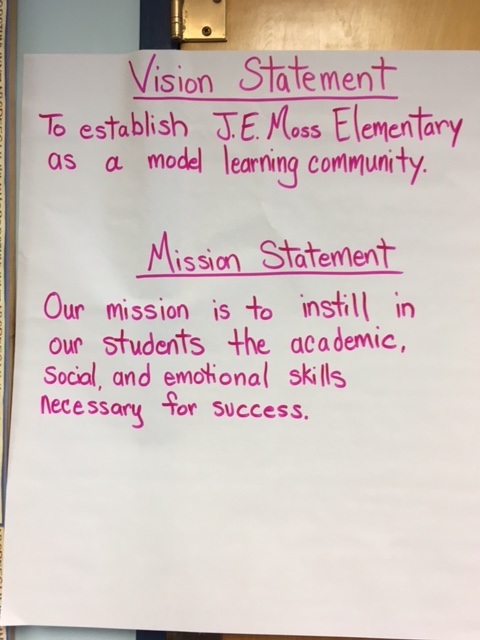 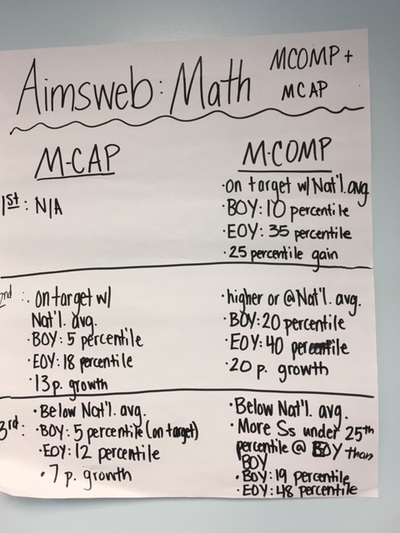 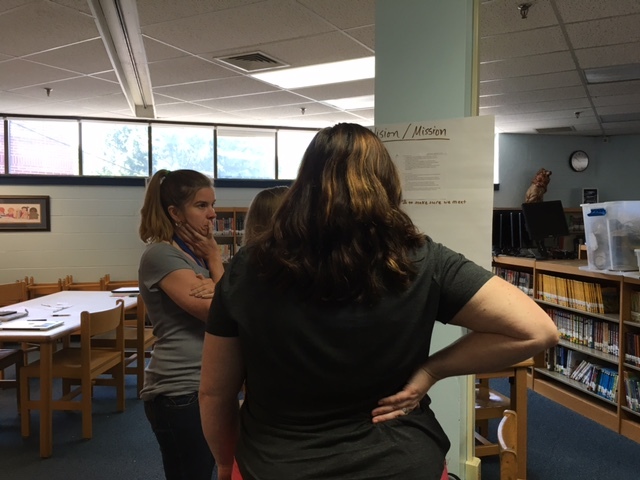 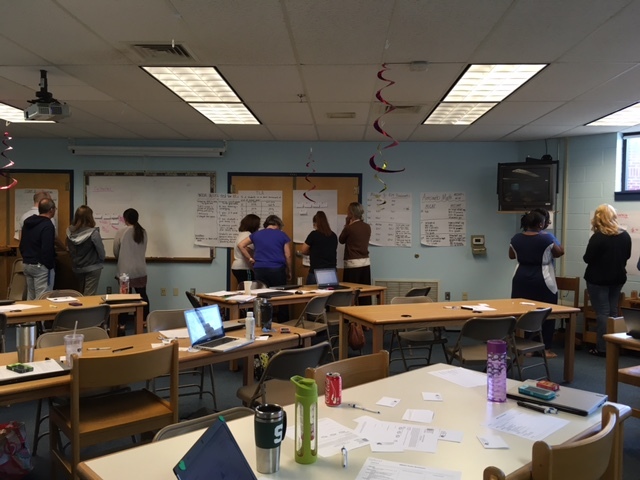 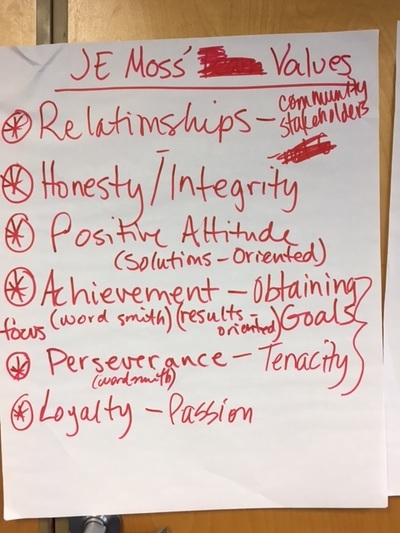 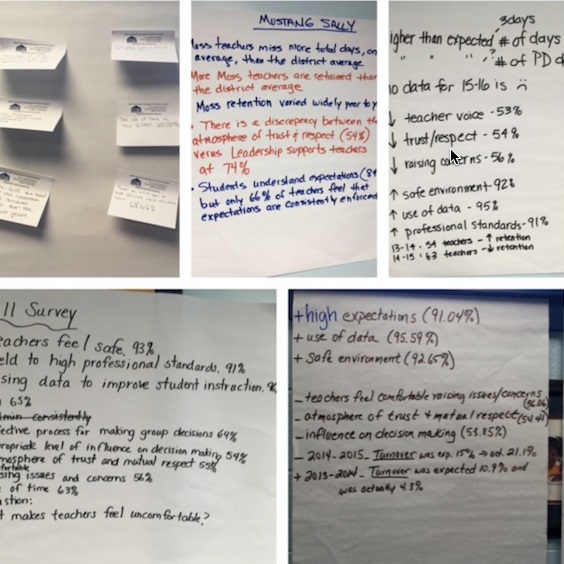 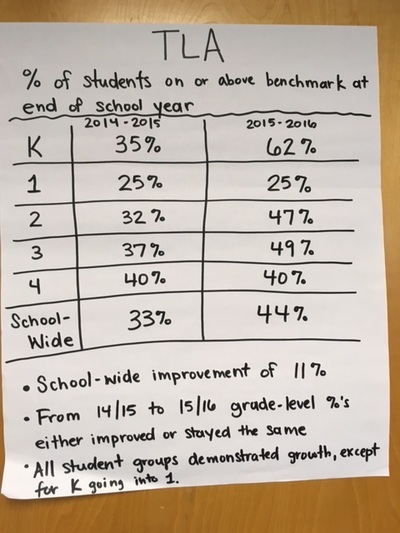 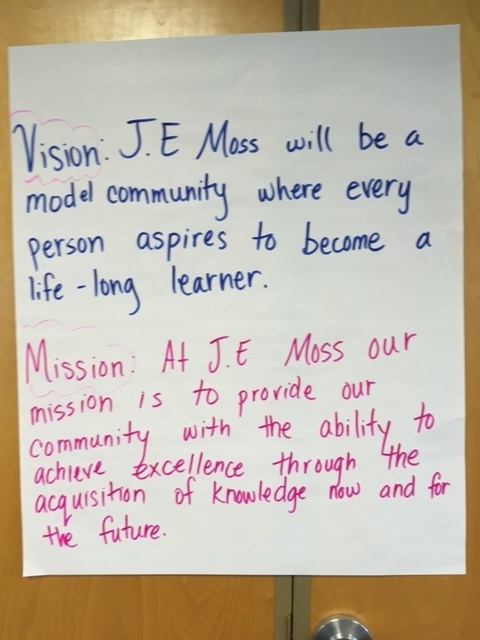 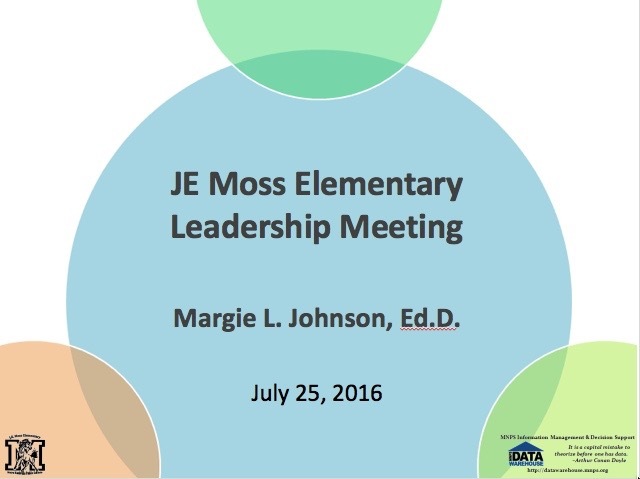 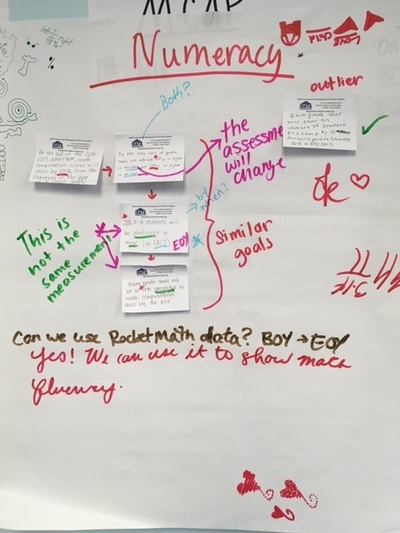 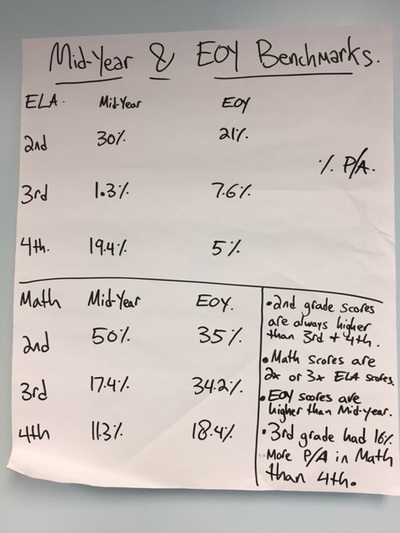 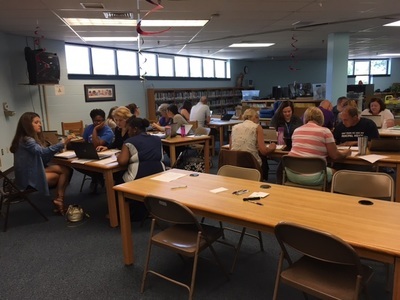 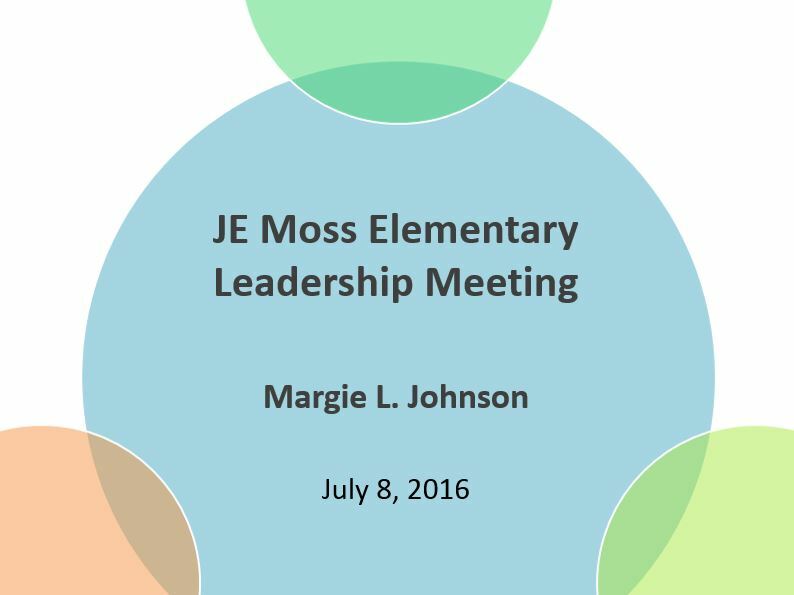 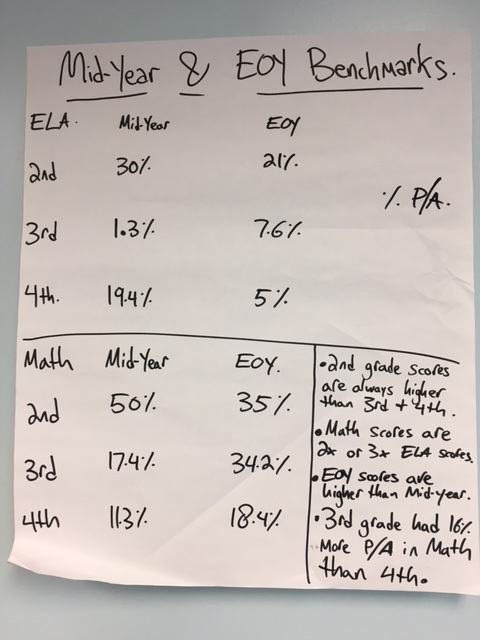 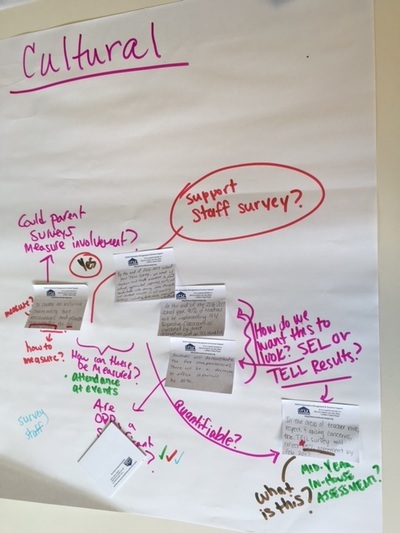 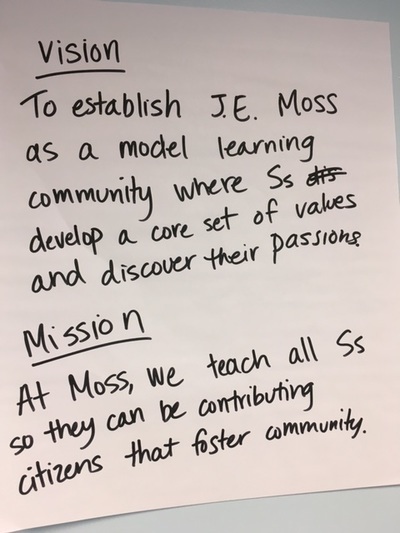 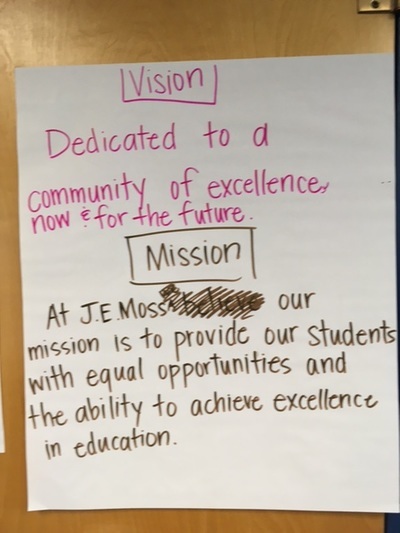 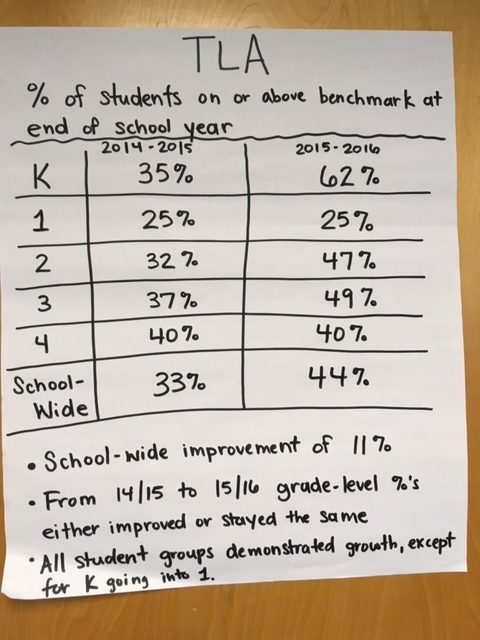 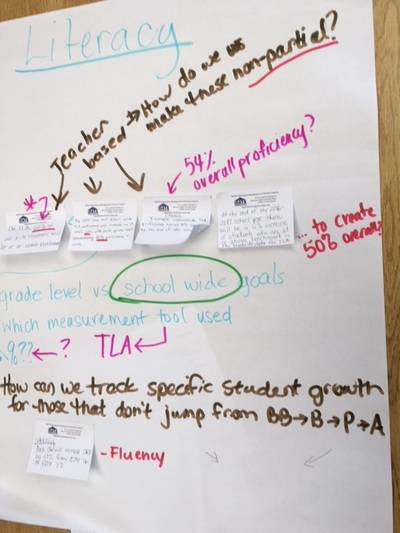 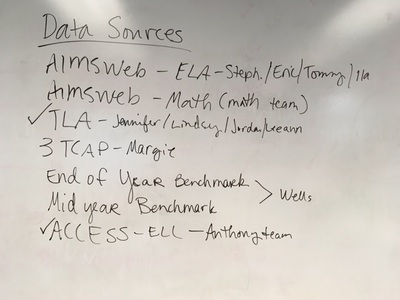 Using the collaborative inquiry process, the JE Moss leadership team used multiple sources of data to develop school values, vision, and mission. 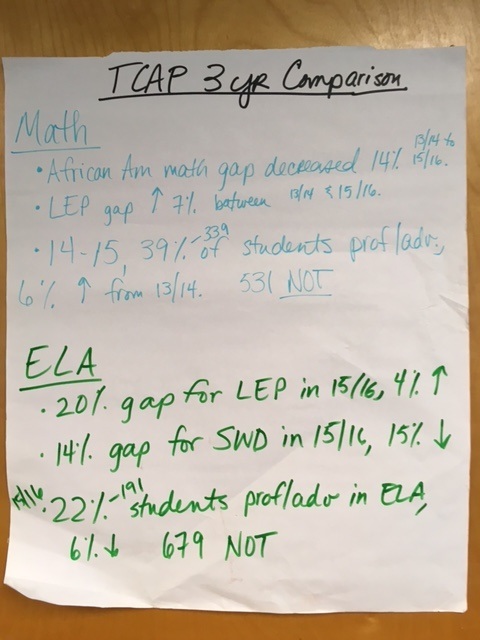 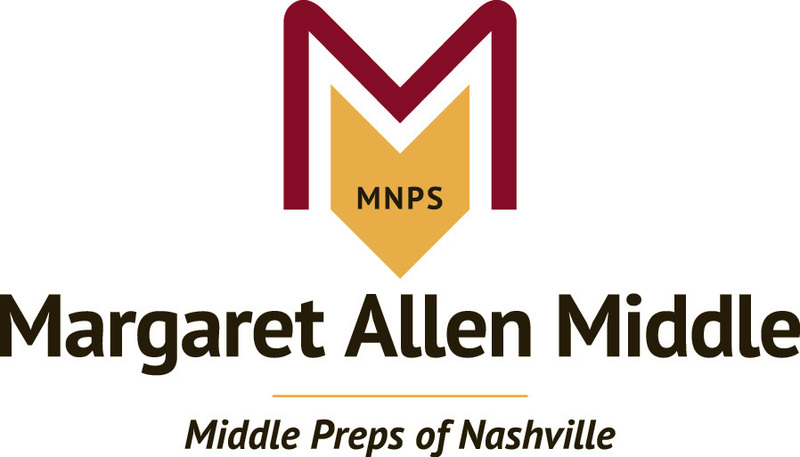 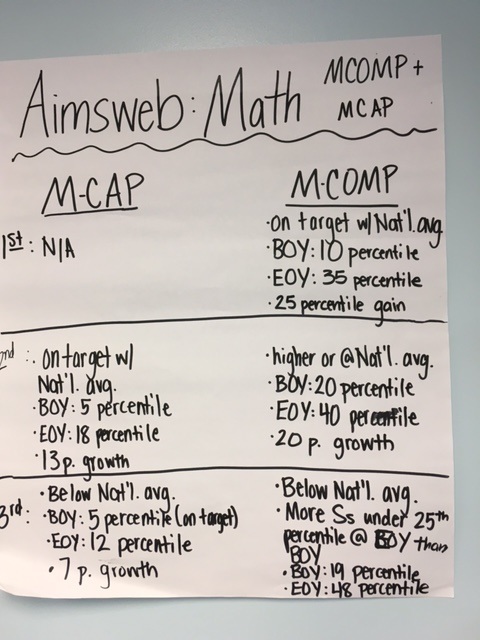 Then, they will use this information to create SIP goals for the 2016-2017 school year. 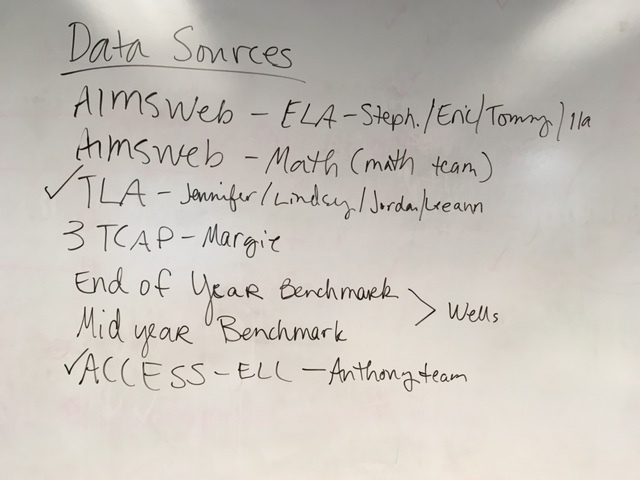 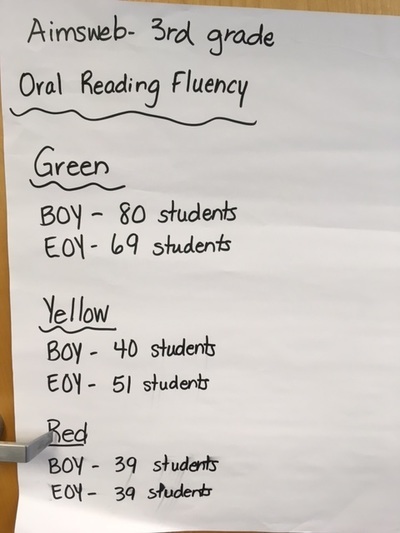 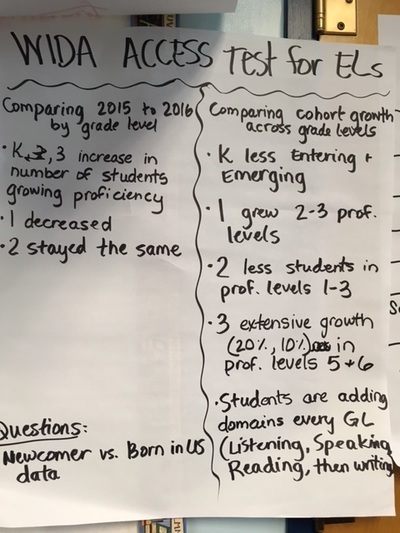 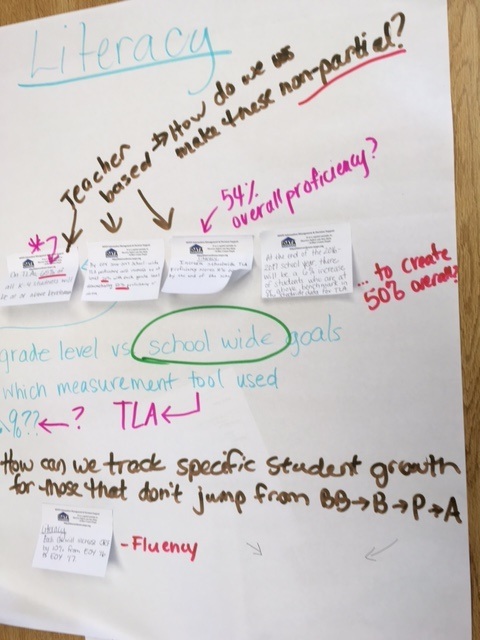 I like how you incorporate data into this meeting where we as teachers could see our data profile.